Research shows that large-scale vaccination programmes have resulted in a significant reduction in child mortality. A number of diseases that previously represented considerable health challenges have been eradicated, or almost eradicated, as the result of vaccinations of large population groups. 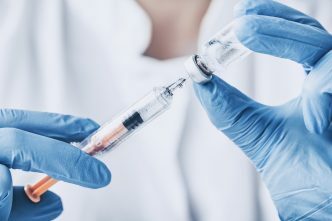 Recently, vaccination has been the subject of increased attention due to numerous local outbreaks throughout the world of diseases that would have been preventable if more people had been vaccinated. Right now the focus is on outbreaks of measles. Before the introduction of the measles vaccine in Norway, a lot of children died of the disease every year. The last recorded death was in 1989. The history of vaccination had its tenuous beginnings over 200 years ago. At the end of the eighteenth century, the English physician Edward Jenner noticed that people who had previously had cowpox did not go on to get smallpox. Based on this observation, he was able to develop the first smallpox vaccine. Since then, an ever-increasing roster of new vaccines has been developed against both old and new diseases. Today there are more than 25 useful vaccines. The underlying principle of vaccination is to start with the disease itself. Vaccine production is usually based on either dead or severely weakened viruses/bacteria, bacterial toxins that have been made safe or variants of gene technology. 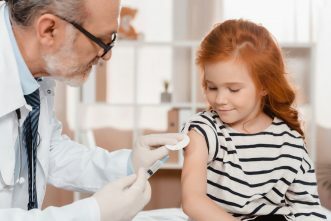 The vaccine works by stimulating the body’s own immune system to produce antibodies to the disease, resulting in the development of immunity without having had the disease. Vaccines can have side effects, though they are rare. Some people may have an allergic reaction to some of the substances in the vaccine. These reactions usually occur within minutes. This is why you need to wait half an hour after a vaccination before you can leave. Other people might feel slightly ill for some days following a vaccination. Common symptoms are fever, feeling unwell or soreness at the injection site. Other possible side effects are reported to the authorities, which assess them and closely follow-up on them. There are a number of opponents to vaccination throughout the world. A lot of people have religious reasons for not wanting to get vaccinated. Others are afraid of side effects. Some people are opposed to all kinds of vaccination, while others are opposed to specific vaccines or to vaccination programmes. A falsified research study from 1998 claiming to show that the MMR vaccine could cause autism has been used by numerous sceptics throughout the world. There are still a lot of people who believe its conclusions. In Norway, opposition flared up during the extensive vaccination programme for swine flu. There are a number of conspiracy theories concerning vaccines, but one after the other, they have all been disproved by research. Vaccines are produced under extremely controlled conditions. This is done at the biggest and most advanced pharmaceutical companies. Inspection routines and testing are of the highest quality in order to ensure that the vaccines that are released onto the market are as safe as possible. The authorities also perform their own checks of the vaccines, which provide additional assurance of their safety and effectiveness. disfiguring disease, smallpox. The first stage is to achieve herd immunity. This means that if a very large proportion of the population is vaccinated, the disease will not be able to reach the few people who, for example for medical reasons, have not been vaccinated. A lot of effort is also being invested in the development of new vaccines. There has been a lot of progress in developing a malaria vaccine, although it is a task that involves a lot of challenges. Malaria kills millions of people every year. This is also the case with HIV, where so far it has proved difficult to find safe and effective vaccines against the disease. Work is also being done on improving the vaccine against tuberculosis, BCG. There is now new hope as the result of development in the field of gene technology. 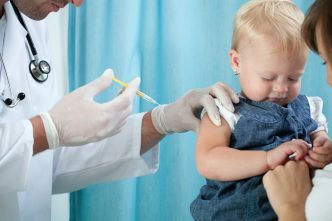 Health authorities in all countries are encouraging as high a vaccination rate as possible in order to achieve herd immunity. The aim then is to be able to eradicate as many diseases as possible. In order to achieve this, anyone who is sceptical must be given good and quality-assured information. Vaccination produces considerable benefits for the health of the individual and for health on a worldwide level relative to the extremely small risk involved. It is necessary to appeal to the world’s citizens in order to maintain a unified stance on good health for everyone on our planet.